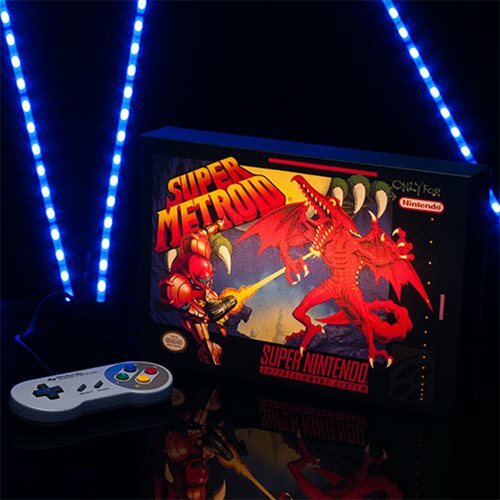 Give a power up boost to your bedroom or living space with this delightful Super Nintendo SNES Super Metroid Luminart Light-Up Artwork. 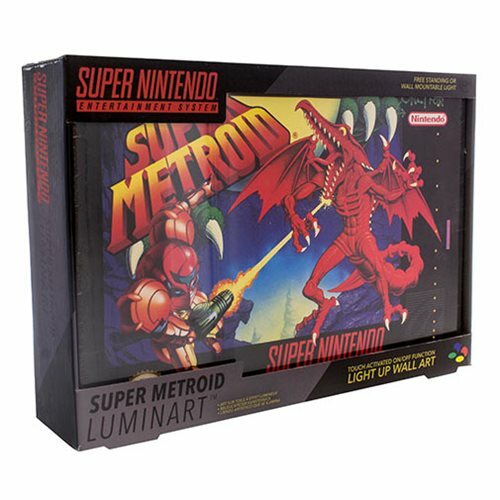 This light up canvas features the box artwork from the hugely popular Super Nintendo game Super Metroid. Measures about 12-inches long x 8-inches tall. 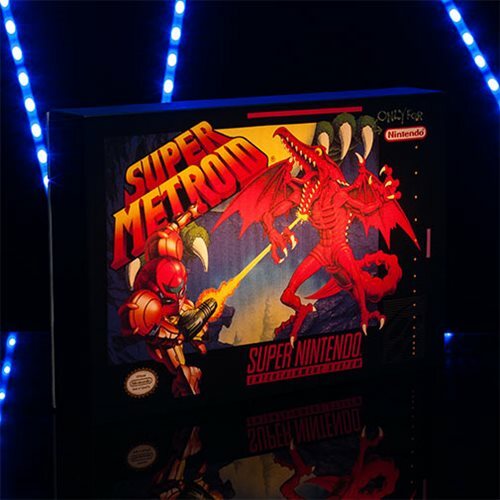 Requires 3x "AA" batteries, not included.